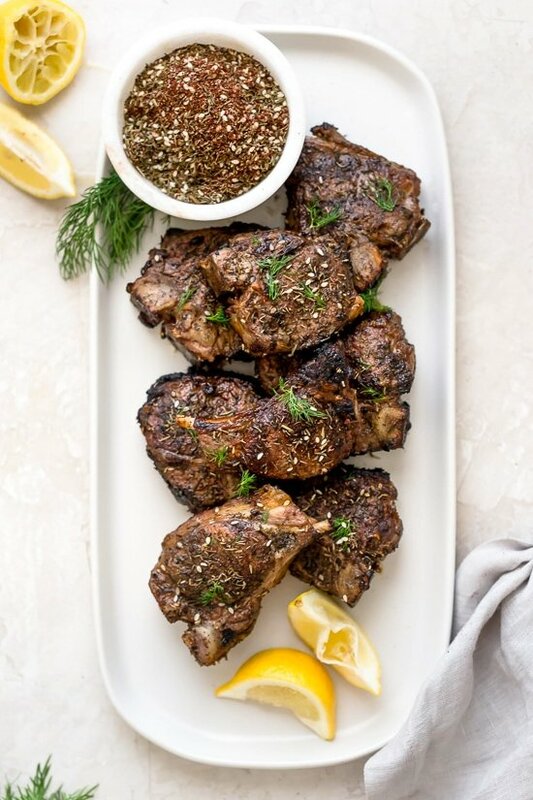 Grilled lamb loin chops seasoned with Za’atar, a Mediterranean blend of sumac, thyme, sesame and salt. 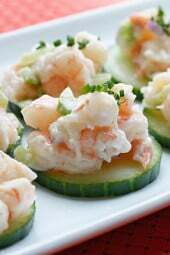 Cook them on the grill or make them in the air fryer! 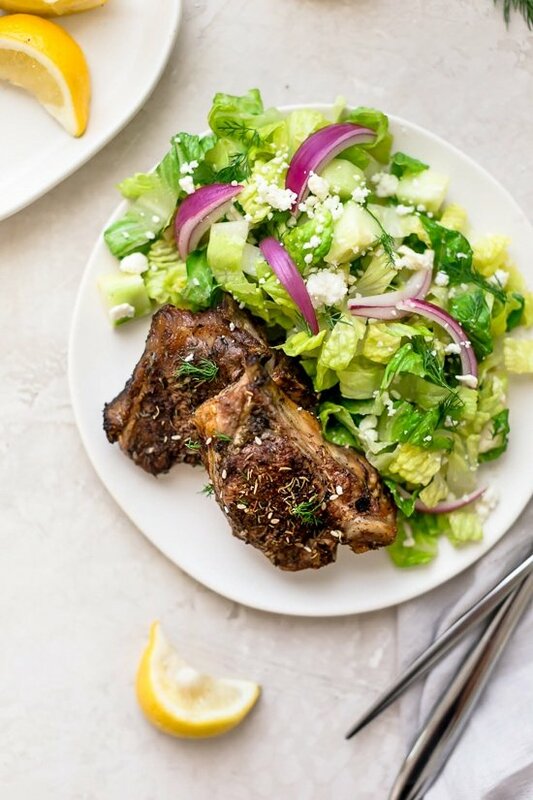 My family loves lamb chops, I make this quick and easy dish all year long served with this Feta Chopped Salad, delish! 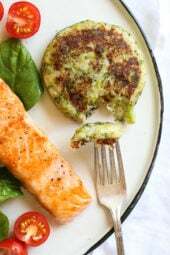 You can make it on the grill, broiler, grill pan or air fryer! 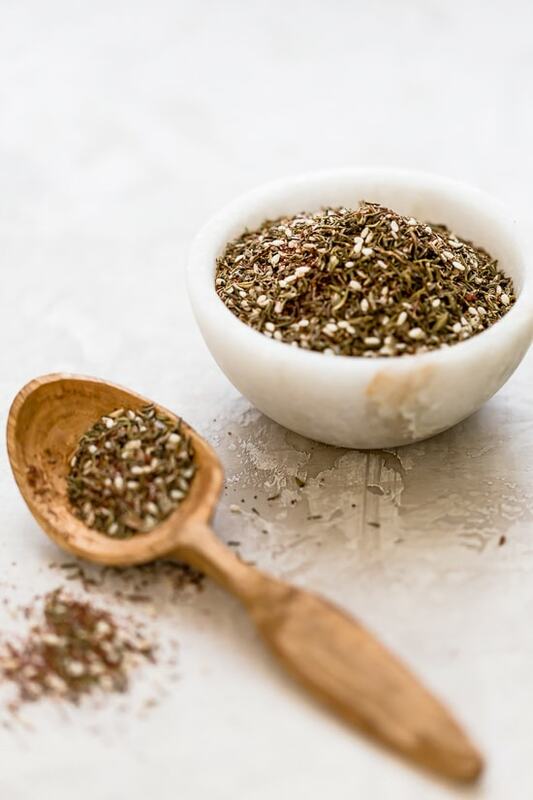 Za’atar is a tasty blend of spices used for amazing Mediterranean dishes. You can make it yourself of buy the blend, I use Penzey’s (affil link). It’s also great in grilled steaks, chicken or pork. My daughter’s boyfriend, Maurice is Lebanese and gave me the inspiration for this recipe! I tested them both in my oven and Skinnytaste Vremi Air Fryer which you can pre-order now, it comes out early May! The results came out great both ways. 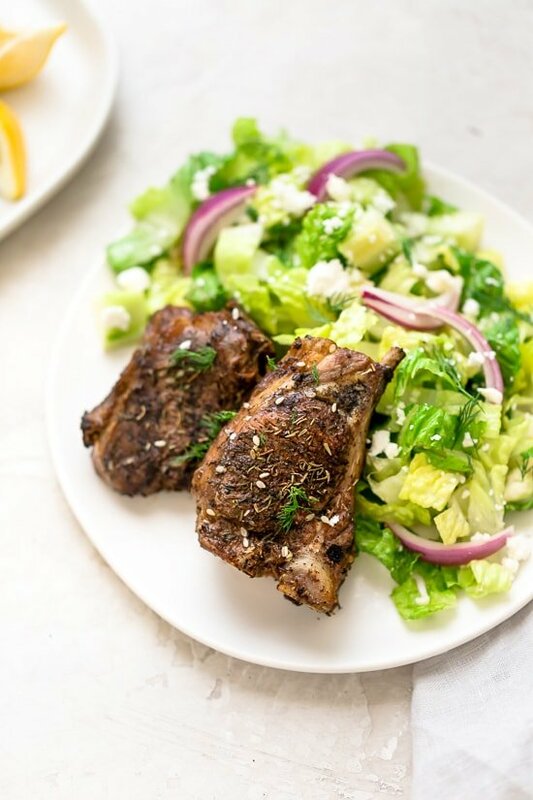 Making lamb loin chops on the grill or air fryer takes less than 15 minutes, which makes it perfect for weeknight dinner, and they come out so juicy and bone sucking good! 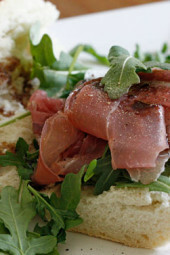 If you’re not a fan of lamb, try these with pork chops instead! If you don’t have Za’atar, use a blend of thyme, sesame and salt. Baby lamb chops can be used in place of loin chops. If you don’t have a grill, you can use a grill pan. 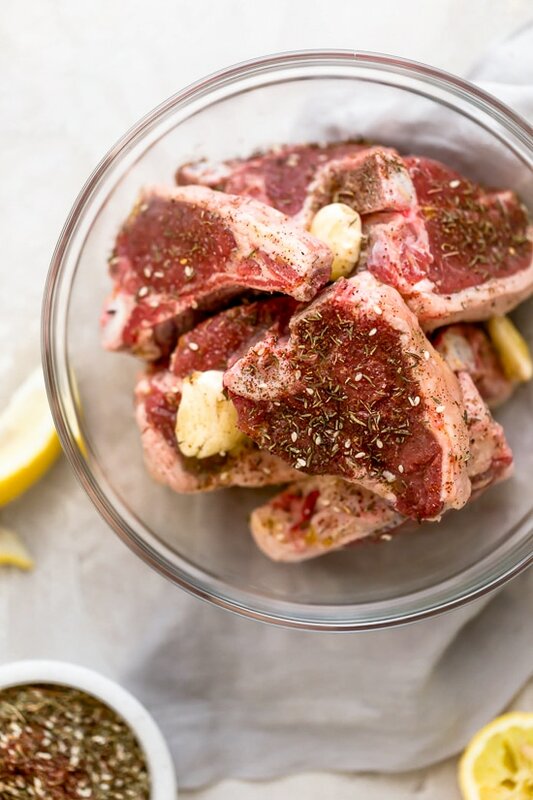 Rub the lamb chops with oil and garlic. Squeeze the lemon over both sides, than season with salt, zatar and black pepper. Grill on an outdoor grill or indoor grill pan over medium-high heat to desired liking, about 4 to 5 minutes on each side or broil in the oven on the top rack, 4 to 5 minutes on each side. Preheat the air fryer to 400F. In batches in an even layer, cook to desired liking, about 4 to 5 minutes on each side. *My chops had 2 1/2 oz raw meat on each bone, nutritional info is based off of that. These were amazing!! Super fast and simple. 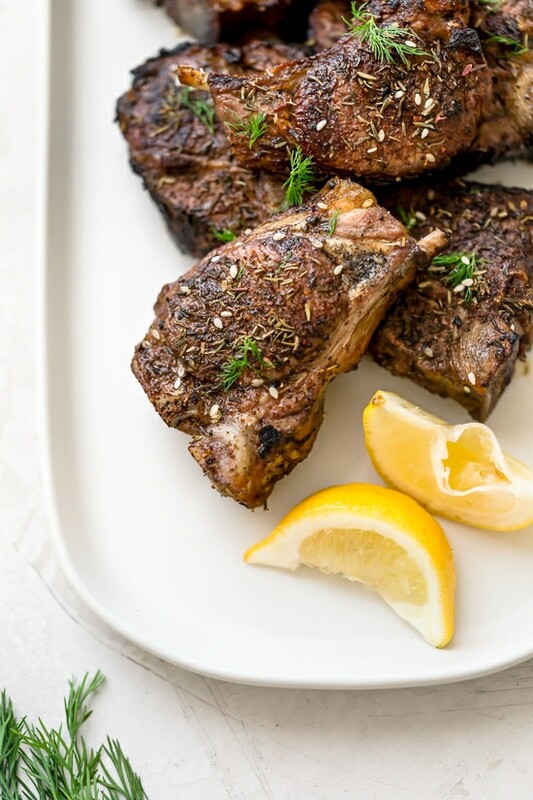 I combined the olive oil, lemon juice, and garlic then brushed that onto the lamb chops. Sprinkled with salt and za’atar and let rest a few minutes. Grilled for 4 minutes on one side and 3 on the other for a perfect medium. We will be making these again! Served with the chopped feta salad as suggested. Making these for a birthday party soon! Do you think you could season the lamb ahead of time to sit in teh fridge for a few hours before grilling ? Delicious and so easy! We grilled the chops outside. Will definitely make this again. 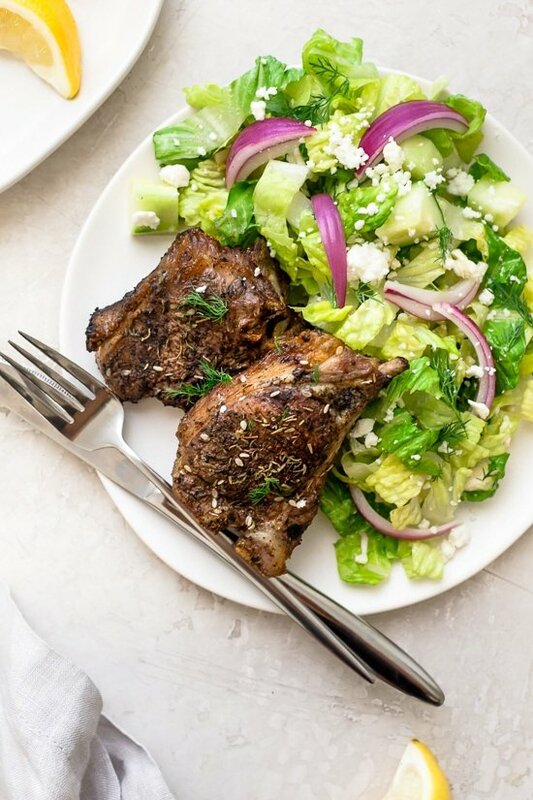 Used pork because lamb was not readily available in our store and we didn’t want to run place to place.Used Spice House Zaatar and made the salad attached to the recipe.My husband has declared it “the best yet!”. He really enjoys the Skinnytaste recipes we prepare.Thanks for another great meal idea!!! I had bought a rack of lamb which I cut into 8 pieces for the two of us. I seasoned them per the recipe’s instructions and my husband grilled them on the Weber. They were fantastic!! We will definitely make them again! I love za’atar and would like to use it on chicken and then chop it for the feta salad! Any recs for doing this with chicken? Thanks! This was delicious! I actually used pork chops instead of lamb so that the kids would eat it, but I am looking forward to trying it with lamb as well. The seasonings were so yummy. Thank you! If I use a grill pan how would I cook it? Same way! About 5 min on each side on high. What other meat could I substitute? Chicken? Pork chops? I have tried so many of your recipes and they have all been wonderful. My family use to be hesitant about all the new recipes I try, but they love SkinnyTaste. Pork chops would be great! Gina, first off, I don’t believe you look old enough to have a daughter who is old enough to have a boyfriend!!!! LOL!!!! Aww thank you!!! That sounds wonderful!! Gina, can you give broiling instructions? on high or low and for how long? These look amazing. Sure, I would broil on high pretty close to the flame about 5 min on each side. Where do you find sumac..I looked at my local store today for either sumac or za’atar.. I found za’atar on Amazon.